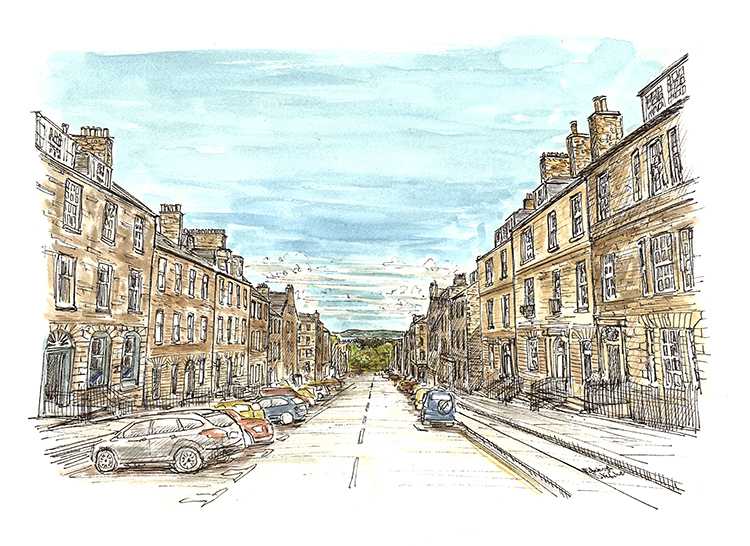 I am very pleased to announce new dates for my popular speed sketching workshops, this time in the New Town with Arienas Collective, a new creative hub in the heart of Edinburgh. 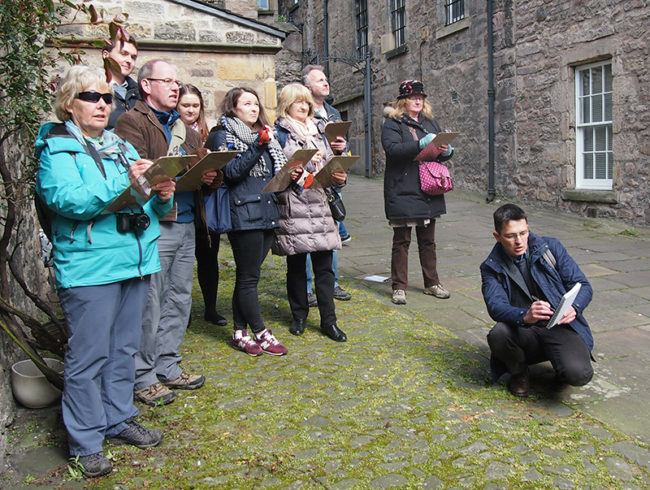 Join us as we explore Edinburgh’s New Town and Portrait Gallery with sketchbook in hand, using ink and watercolour to record our city tour. For the first time we will take watercolours with us which will enable us to capture more of what we see and more time out drawing before we return to our New Town base for a cuppa. You will take home your favourite drawing in a frame plus a number of other personal pieces documenting your journey, creating a lovely package of self made art as well as an improved confidence in your own ability. This workshop will run as both a full and half day introductory class to speed sketching, and also as a half day advanced course where we will make a montage of a particular location using your sketches. It is also available as a private group booking for up to 10 people. Please see the link below for more details and to book through Arienas Collective. I look forward to meeting and sketching with you soon. 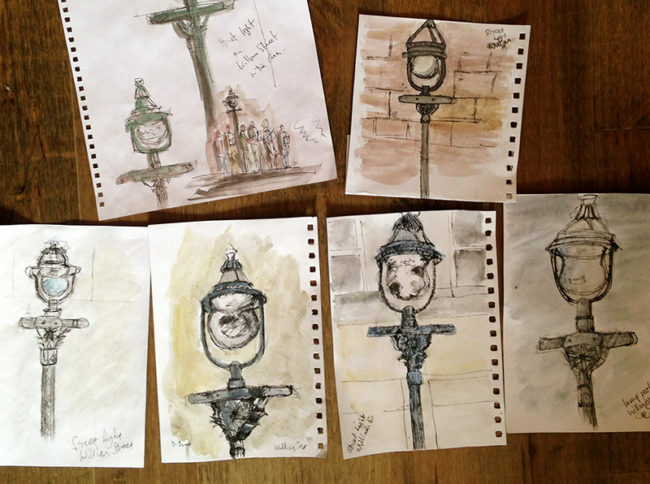 More details and to book your place on the New Town speed sketching class click here.